Born to Stephen (1878-1954) and Veronica Skarupa Leson (1880-1963) in Canonsburg, Pennsylvania, Leson starred in basketball and football at Edinboro University. 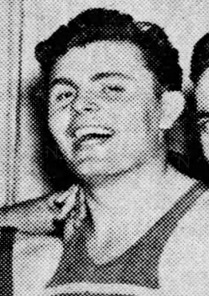 He served in the US Army during World War 2, and afterwards became a basketball official in the PAC10. He was working for the Veterans Hospital in Los Angeles when he died after a year-long illness. He married Dorothy (1918-1999) and the couple had a son, Joseph (1951-2011), and a daughter, Diane Phillips.